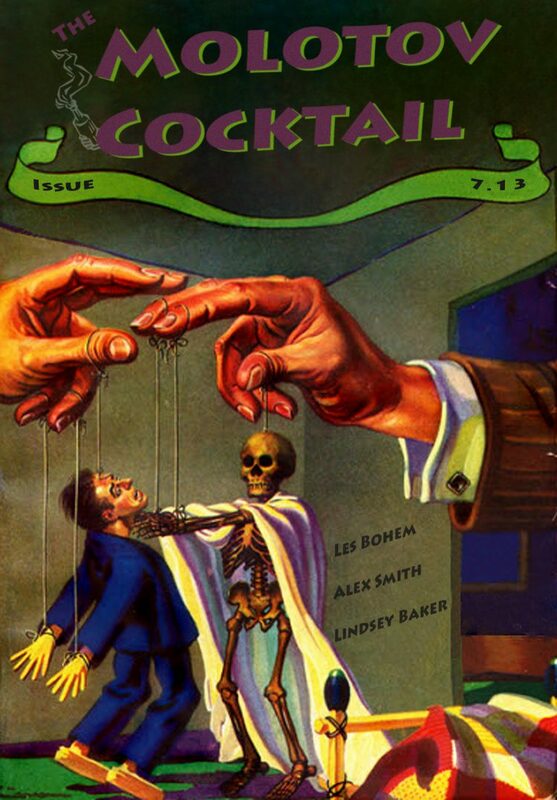 Issue 7.13 is full of writers who work their fingers to the bone. This issue features smoldering peach groves, Kratom-fueled time-space nostalgia and nonlinear worms. Time’s ticking on our #FlashFear contest. October 15th is our soft deadline (although you can probably expect our week-long Procrastinator’s Special after that). We’ll also be taking a one-issue hiatus to finalize our second-annual Prize Winners Anthology print edition, so we’ll be back in action with the Flash Fear mega-issue on Halloween.